Nyingmapa is the oldest school of the four major schools of Tibetan Buddhism (The other three are Kagyupa, Sakyapa and Gelugpa). 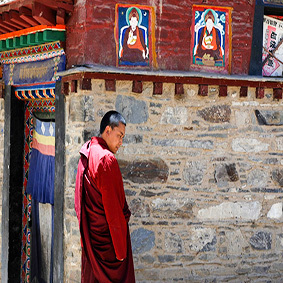 The word “Nyingma” literally means “ancient” and Nyingma is also called Red Sect because all the monks wear red hats. Nyingma is founded by the first translations of Buddhist scriptures from Sanskrit in the eighth century. Its origin is said to be traced from Padmasambhava (Guru Rinpoche), the Indian master. Around 760, Padmasambhava was invited by the 38th king of Tibet, Trisong Detsen, to introduce Buddhism to Tibet. Trisong Detsen also ordered the translations of Buddhism texts into Tibetan. The translation formed the base for large scriptural transmission of Dharma into Tibet. 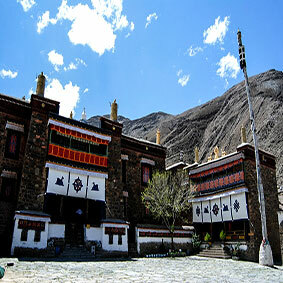 From the eighth to the eleventh century, Nyingma was the only school of Buddhism in Tibet. It is also different from the other three schools because it never had political power. 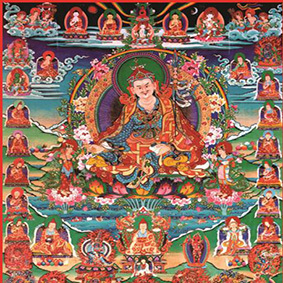 Nyingma emphasizes on tantric practice including Dzogchen (“Great Perfection” or “Great Completeness”, a way to realize the innermost nature of mind of who we really are) and the hidden scriptures, Terma from Padmasambhava. It also categorizes the Buddhist path into nine yanas, which are Sravakayana, Hinayana, Mahayana in the Sutra System; Kriya, Carya, Yogatantra in the Outer Tantra; and Mahayoga, Anuyoga, Atiyoga in the Inner Tantra. As you may know that: Tibetan Aid Project-TAP is an operation of the Tibetan Nyingma Foundation. And we have arranged Nyingma Buddhism tour in Tibet.